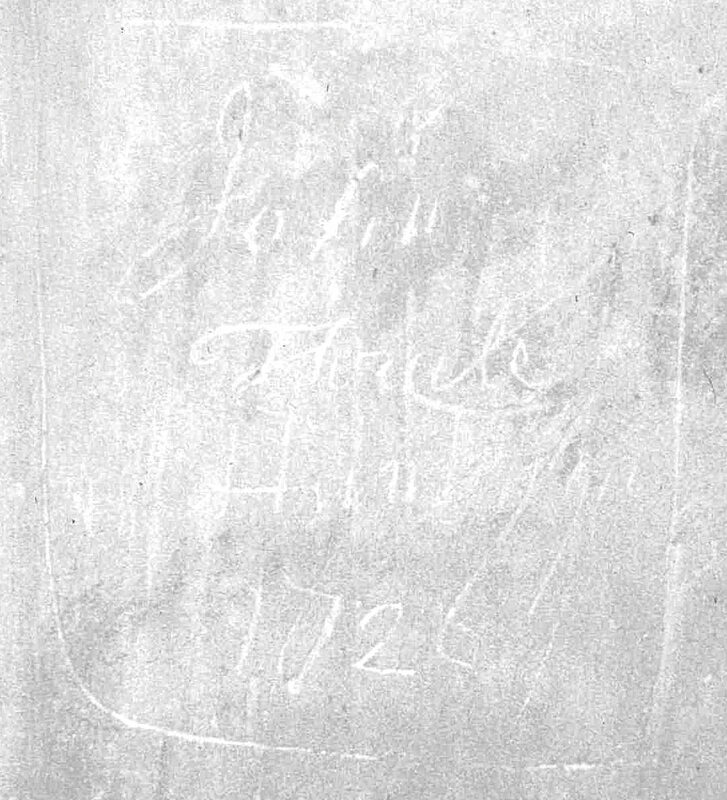 In 1726 a John Thrale scratched his name into the wall of St Albans cathedral in the shrine area, and almost 290 years later, this can still be seen today, as marked below at location S.R.3. The shrine area is known to have been used in the 18th century as a militia centre for the Herts Regiment and in indoor wet weather meeting place. John Thrale, born 1703 . 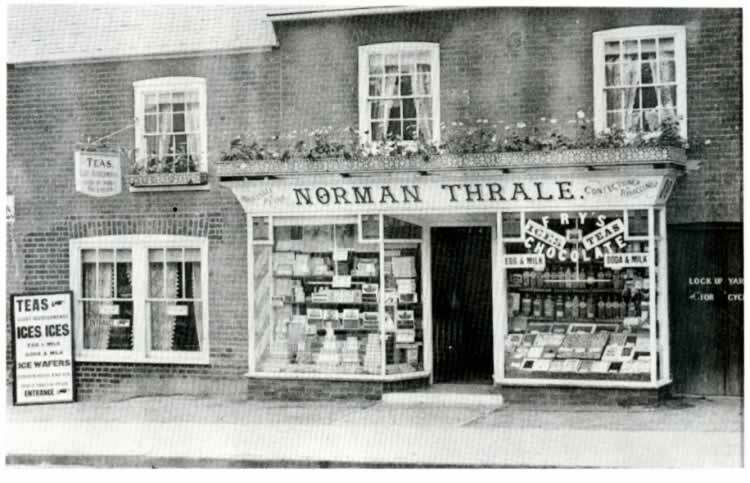 Several Thrale's - including my branch of the family - moved from Sandridge to St Albans, where they became well known locally for several local businesses, for which links to pages with further information are given below. 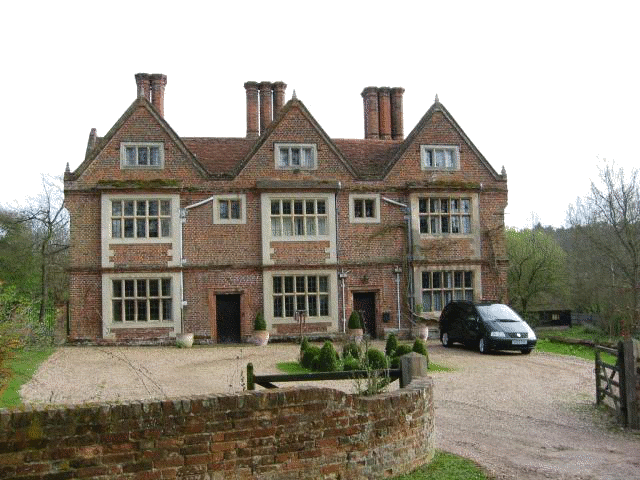 Water End, Sandridge (now Wheathampstead), on the north bank of the Lea, about a mile south-west of Ayot St. Peter, is a fine old brick mansion. 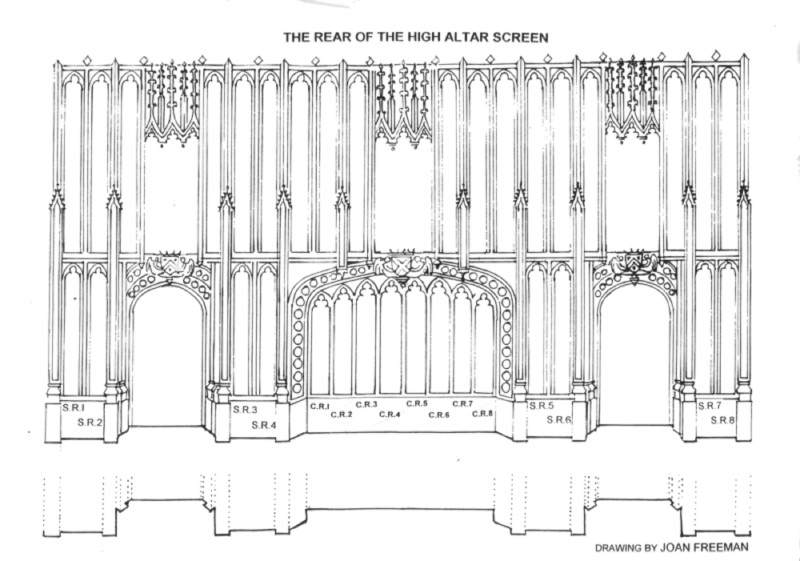 It was probably built by Sir John Jennings a well to do Hertfordshire land owner in about 1610. On his death, Richard Jenyns inherited the properties. Here was born on the 5th June, 1660, Sarah Jenyns , who was baptised in the Abbey of St. Albans on the 17th of the same month. Despite an income of £4,000 a year, the family fortunes faltered severely and Richard Jenyns died insolvent in 1667. She never ceased to praise its air. She died an irascible 85. In 1938 the Barn was no longer needed for its original use at the farm, and the Brocket Estate  decided to dismantle it - timber by timber, re-erect it on a site they owned in the middle of St Albans and let it as a restaurant. This was completed in 1939 and two brothers, Ralph and William Thrale, who owned and ran a long established local family bakery business  took on the lease. In the next few years the site was enlarged with the addition of the Little Barn, brought over from Little Harmed. Best days at the Barn were in 1941 when Thrales had the place. Every Thurs night a dance! In 1978 the Thrale family decided to relinquish their interest in The Barns and they were sold to Simmons of Hatfield, another long established family baking and catering business. 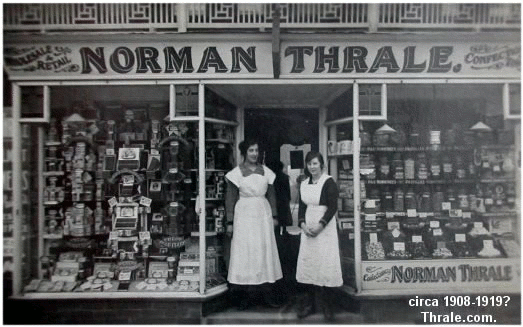 Later it was run by the Coles family and trades under the name of Moorsom & Co. Ltd. Robert Coles is a grandson of the founder, Reg Simmons. Watered Barn was refurbished and run by chain pub operators Wetherspoons since around 2005. 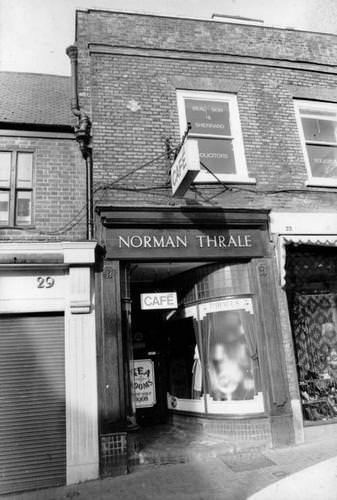 Norman Thrale's Café operated from 31 Market Place, St Albans. 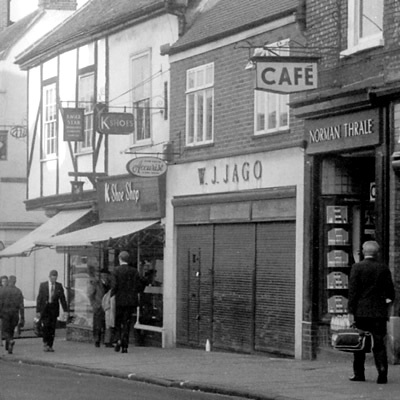 An Italian restaurant now operates from the same premises. 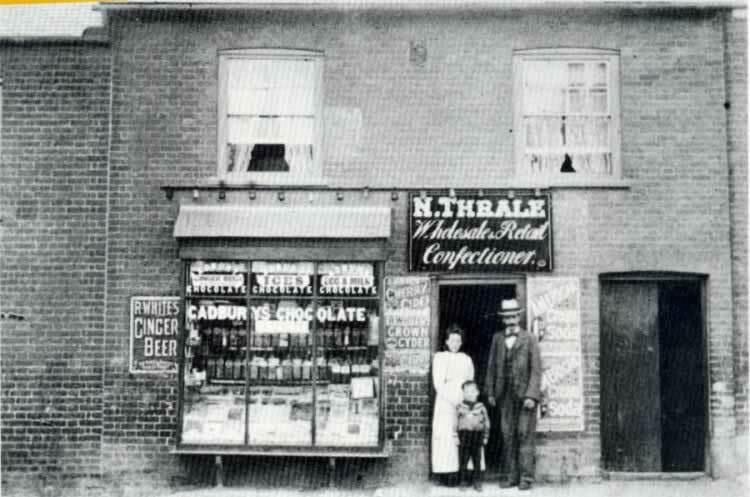 The Thrale business of restaurants and cake shops started when Hannah Maria Thrale (1867-1920), wife of Ernest Norman Thrale (circa 1866-1909), placed sweets in her St Albans parlour window for sale: these were soon sold and a business was born in London Road, St Albans. * the address in London Road? * when it started and stopped trading? * who the pictured shop assistants are? * did you work there?